Hello everybody. Thanks for setting aside some of your time to join me in our LBC series. We’re on section 1.6 right now which is going to deal with some more aspects of how Scripture operates in the Christian faith. We’ve been hitting on several different areas of Scripture and its relationship to us as its audience. We have briefly discussed the idea of knowledge and how it can become salvific, the idea of God being truth itself and therefore obligating belief in his Word, and the mechanical operation for belief in the former two. This article is going to be much shorter than my prior pieces. My past week has been fairly exhausting. The past weekend was very busy and provided me no time for homework or blog writing. Then I got a brief but miserable cold from Sunday through Wednesday. So I’m lagging behind and not feeling particularly motivated with this dreary Ohio weather. Nonetheless, I do believe we’re going to have a fun time together. Today we are going to explore primarily two concepts listed in section 1.6. This does build on the prior concepts so I would encourage you to go back and read my prior articles in the series if you have not yet done so. It’s not necessary, but helpful. Lastly, I have recently engaged an old coworker on the focus this section, so I want to give a quick shout out to him due to our opposed beliefs on the focus of this article. If you have followed my prior articles, you know that we believe in a God that is self-aware and posses ultimate agency. Because he is a he, and not an it, he can speak. Moreover, he does not merely possess the capacity to speak, but he does speak, and he has spoken. We Christians are necessarily theists, not deists. God does not simply choose to create and leave, he creates and sustains. Since our God is an intellectual God, he sustains by the content of his word. You know this must be the case if you could be at all considered introspective because only a fool does anything without any expectation of reaping from its result. The whole counsel of God concerning everything essential for his own glory and man’s salvation, faith, and life is either explicitly stated or by necessary inference contained in the Holy Scriptures. There is an important distinction to make as we consider what the whole counsel of God means. It’s kind of obvious that if God exists, and if God is a speaking God, that we would probably want to take seriously what he says. The question then becomes, what are the parameters for his speaking? Where does his self-expression begin and where does it end? We do not want to just test any particular hypothesis without also examining the particular kinds of data being utilized. We do not use different kinds of data in the same way, because that creates unaccounted for variations in our results and warps the formulation of our theory. Christianity has always been a faith of prophetic revelation. This means that when God speaks, he usually does so by way of mediators. In Jewish thought, God’s speaking would naturally bring with it the expectation of written text. One was not had without the other, and if it was, it wasn’t deemed by God as worth preserving. Written text is the most common set of data we are afforded. For example, we read a few authors of the NT intimately self-aware of the development of their authoritative texts. So you see the phrase prophecy of Scripture there in that verse. The emphasis within Jewish belief is the written word. They considered themselves, or rather God considered them, the oracles of God. So any data on God that has been “canonized” or cemented in written tradition and preserved through the ages would qualify as within the foundational parameters for understanding what God says. Within those boundaries comes the Reformation doctrine of Tota Scriptura. We mentioned previously the first sentence in the London Baptist Confession. The Holy Scriptures are the only sufficient, certain, and infallible standard of all saving knowledge, faith, and obedience. In order to interpret the Scriptures as that only sufficient, certain, and infallible standard, you have to interpret all of Scripture. 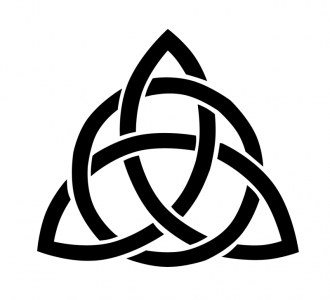 This is fairly evident as you explore the doctrine of the Trinity. Certainly one cannot infer that doctrine from the OT alone, but once you examine the Old in light of the New, those ambiguous echoes within God’s self-expression in the Old come alive and refract new colors of beauty. You must engage the whole counsel of God. In order to understand anything in Scripture properly, you must take into account the whole Scripture, from Genesis to Revelation. Divine revelation is indeed progressive, and one must trace the entirety of that written progression in order to comprehend its individual parts. The whole counsel of God is formally known as Tota Scriptura. We will not reside within this next topic for very long. Nothing is ever to be added to the Scriptures, either by new revelation of the Spirit or by human traditions. A lot of Christians actually understand this erroneously and use it as an argument against other works combined with Scripture such as Mormonism’s The Book of Mormon, The Pearl of Great Price, and Doctrine and Covenants. If you’re unfamiliar with those titles don’t worry, just understand that Mormonism elevates those works to the same authoritative level as that of Scripture. Christians frequently pull their understanding of that doctrine from the book of Revelation. This does not mean what it sounds like it means. If it literally meant that you could not add anything to the Bible, then even this last book of the Bible wouldn’t exist. We read that this phrase also occurs at the beginning of the Bible. You can see here that the impetus of that verse in Revelation actually implies adding content in principle. It does not mean adding content in quantity. So this article comes full circle. We are able to see that Tota Scriptura (reading all of Scripture) is necessary in order to understand more coherently some of its individual parts. Individual parts in of themselves could be taken out of context be understood as meaning something it doesn’t at the expense of greater understanding down the line. While the material content in Scripture does seem to convey a sense of “finishedness, or closedness,” those verses do not convey that idea explicitly. At very least there is a Biblical argument which could theoretically be made against that idea. The LBC is, however, likely asserting its belief in a definitively closed number of Biblical books. So we can see the relevance of using all of Scripture to determine certain issues. The same argument must be made for understanding the priority of God’s spoken word as cemented in the written text even above that of a new revelation of the Spirit (LBC 1.6b). If God wanted to give as much credence to a new revelation of his as a past revelation, not only would it line up with Tota Scriptura, but it would also be added by God to that whole measure of Scripture we currently use. While that may appear to leave the door open for some of the Mormon works I mentioned earlier, I assure you it does not. The prior articles I wrote addressed the harmony of parts and when we come to section 1.9 we will evaluate another criterion for inclusion into the canon as Scripture. I am not going to cover the last section of 1.6 because we have already addressed some of it before. Additionally, as I mentioned I’ve had a really busy week and was sick so I’m going to have to cut this week’s article short. Next week’s article should be fairly straightforward and simple. Please do comment and interact with the content in this article. Until next time, God bless.